Windsor Criminal Charge? Let Michael Gordner Help You! A criminal conviction will drastically affect the rest of your life, including job prospects and your family. In addition many criminal offenses carry mandatory prison sentences and a debilitating criminal record. Being arrested does not mean you are guilty. You need to fight for your rights and ensure that you are being fairly treated and represented. An experienced lawyer will be able to guide you through this very difficult and confusing process. You need Michael Gordner. Mr. Gordner is a Senior Criminal Litigation Attorney and Counsel practicing criminal law continuously over the past 38 years, primarily in Windsor, Ontario. He has extensive criminal litigation jury experience, which includes the successful defense of murder charges, sexual assault, criminal negligence and numerous other charges. Hard work and total commitment are just a few of the traits that make him a great lawyer. 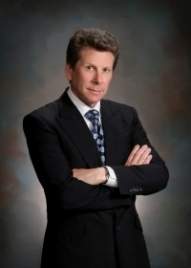 Throughout his career Mr. Gordner has been devoted to his clients. His mission is to ensure every client achieves the best result possible in each and every case. In order to achieve this result it is necessary to not only know every aspect of your case, but to know you and your family as well. He understands that his clients are “human beings” and recognizes that this situation affects the family as a whole. He has been certified by the Law Society of Upper Canada as a Specialist in Criminal Litigation and has been a sessional instructor of criminal law at the University of Windsor Law School. Mr. Gordner is rated “AV” by Martindale Hubbell, which indicates the highest rating in terms of quality legal services and professional ethics. His clients can attest to his honesty, integrity and excellent services. If you are facing a criminal charge don’t just choose any lawyer, choose the right lawyer. Let Michael Gordner go the extra mile for you.